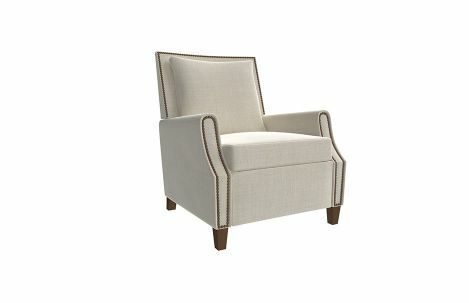 Custom upholstered recliner from LEE Industries. Semi-attached back. All down pillow. Standard with nail head trim on arms and inside back. Several finish options. Available in fabric or leather.